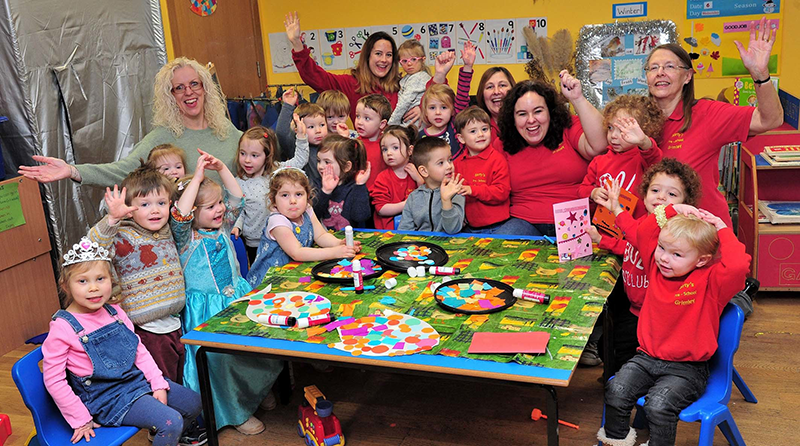 Bartholomew Preschool in Grimley, Worcestershire, celebrated after they received an “outstanding” rating at their latest Ofsted inspection in January. The preschool which is located next to the village primary school, supports 29 children. The report praised the staff and said that they “show an obvious dedication and enjoyment to their role and are proud of children’s achievements” and are quick to identify any concerns. The report also talks about how well children with special needs are supported. The relationship between parents and preschool is reported as being “exemplary” and that the children are “very happy and enjoy their time at preschool”. The only improvement the report mentioned is that the proposed changes to the outdoor area should be carried out, and to monitor the impact the changes can have on the children’s development. The preschool’s manager, Rachel Welch, said to Dudley News: “We’re absolutely delighted with the report. “We had a lovely inspector, and although it was one of those days when everything went wrong, the staff managed to improvise their way through, and we obviously impressed the inspector. I’m so proud of my staff.